Dr. Sanjay Gupta puts medical marijuana under the microscope again with "Weed 3: The Marijuana Revolution" at 9 p.m. ET Monday on CNN, followed by "High Profits" at 10 p.m., a CNN Original Series exploring the business of legal, recreational cannabis in Breckenridge, Colorado. 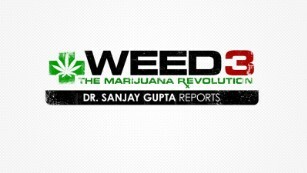 Dr. Sanjay Gupta puts medical marijuana under the microscope.